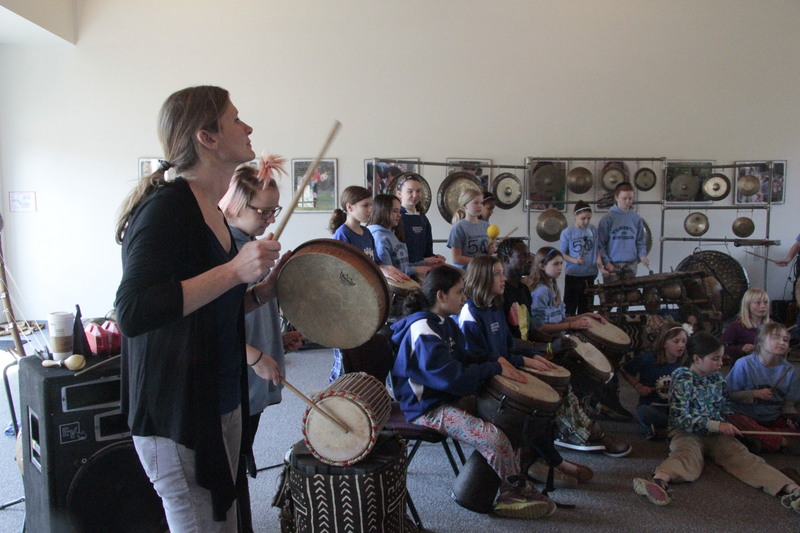 When percussionist Tony Vacca visited WMS, staff enjoyed learning from him almost as much as the students did! One of our core values at Wilmington Montessori School is “education for life.” When reading this on our website or simply considering those three words, one tends to think about the students, for they are our focus. Lately I have been doing a bit of reading that reminds me to consider each member of our community when reflecting on this core value. To be the best educators we can be, we need to be the best learners. This doesn’t mean we learn the most difficult concepts or excel at everything we try, but that we embrace the process of learning and move beyond the comfort of knowing to the uncertainty that comes with learning. From a baby taking her first wobbly steps to a child hesitantly reading his first words, the unsteadiness of the learning process is a part of our lives. As we move through school, we experience of the challenges and wonder of learning. At WMS, our teachers spend most of their time as learners. They learn through professional development workshops, meetings with colleagues, researching topics to teach a concept or to guide a student, reading blogs and publications about their profession and the content areas they teach, and best of all, they learn from their students. Being open to learning and embracing the unknown are values that are critical to our success; we are learners for our entire lives.